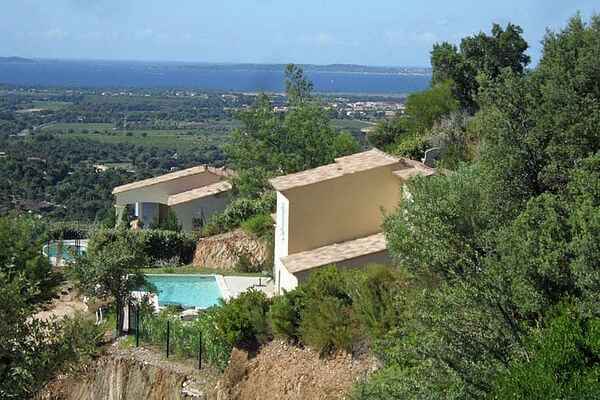 The villas (all ground floor or with a first floor) are fully equipped and feature some nice Provençal details. The 6-person villa (FR-02176-01) has three bedrooms and two bathrooms. The 8-person villa (FR-02214-01) has four bedrooms and three bathrooms, and the 10-person villa ((FR-02216-01) has five bedrooms and four bathrooms. Each villa is situated in at least 1,000 m2 grounds and has a terrace (some of them covered), a garden with furniture and an attractive private swimming pool (30-45 m2; fitted with an alarm). You can park your car at the villa (1 or 2 cars).